SJE Ecohydraulic Engineering GmbH is a spin-off from the Department of Hydraulic Engineering and Water Resources Management at the Institute for Modelling Hydraulic and Environmental Systems (IWS) at the University of Stuttgart. Since 2001 the firm provides engineering services in the fields of river hydraulics, river ecology, hydraulic structures, hydropower and is specialized in the application and development of advanced simulation technologies. Our main field of engineering services is the assessment and mitigation of negative impacts of human acitivities on running waters - among others those caused by the exploitation of hydropower. A key product of SJE is the simulation software CASiMiR, which is primarily used to investigate water management problems with a strong focus on hydropower. SJE has strong partnerships with leading academic institutions dealing with the investigation of river systems such as the University of Stuttgart, the Technical University of Munich, the EAWAG in Zürich (CH), the University of Natural Resources and Life Sciences Vienna (A), the University of Lyon (F), the Research Institute for Nature and Forest (INBO) in Brussels (B), the University of Lisbon (POR), the University of Trento (IT) and the University of Valencia (E) and specializes in turning cutting-edge research into engineering practice. 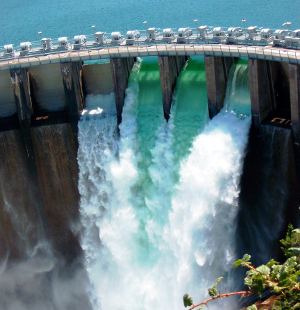 Due to the international renewable energy development, the significance of hydropower is increasing. Recognizing that hydropower does have an impact on river ecology, it is important to find suitable mitigation measures and strategies for this important natural source of electricity. SJE provides engineering services to assess and mitigate the negative impacts of hydropower. To determine the optimal hydropower operations not only in economical but also in ecological sense, the local flow and morphologic conditions are taken into account. On the basis of hydrological data and technical hydropower plant specifications, our software CASiMiR-Hydropower aids in the analysis of energy production when considering changes to hydropower operations. The study of fluid flows has been rapidly expanded due to the development of numerical models for use in computational fluid dynamics (CFD). In the past few years, rapid developments in the CFD field have expanded the engineer's ability to model complex heterogeneous environments such as rivers to determine the current velocity, water depth, bed shear, and hydrodynamic forces. 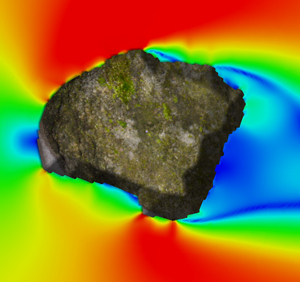 SJE makes use of a spectrum of 1D, 2D and 3D hydraulic models (HEC-RAS, SRH, OpenFOAM), for the study of both stationary (constant in time) and instationary (changing with time) aquatic environments. The aquatic environment is strongly tied to the flow properties of the ecosystem, and its study is called "ecohydraulics". SJE is specialized in the ecohydraulic assessment of river ecosystems. Our self-developed models allow investigation of ecological functionality of rivers in terms of quality and availability of aquatic habitats. The modeling framework CASiMiR offers an unique set of tools to investigate the dynamic interrelationships between flow and biota in water column, on river bottom, as well as in the connected bank and floodplain zones. Current applications include dynamic simulations on both, local and regional scales, expanding substantially beyond static flow regimes and minimum flow assessments.